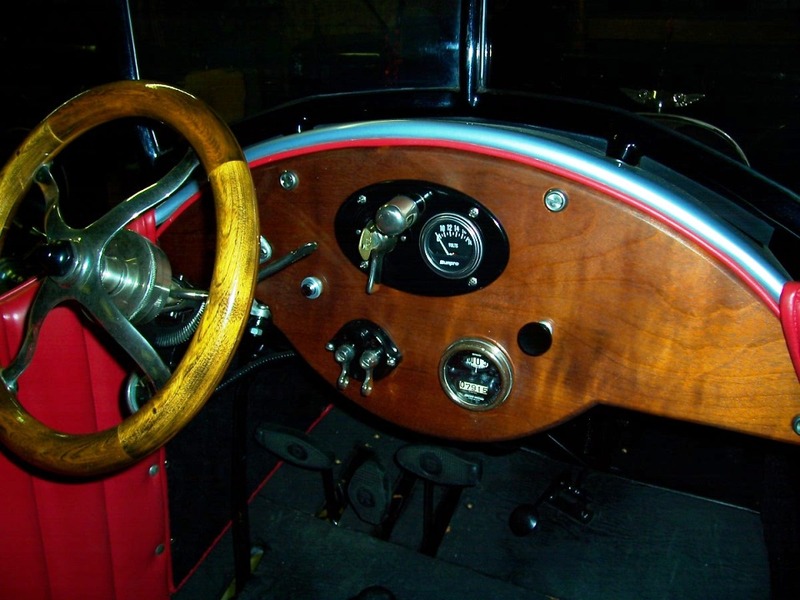 Model T Ford Forum: Another First Start! 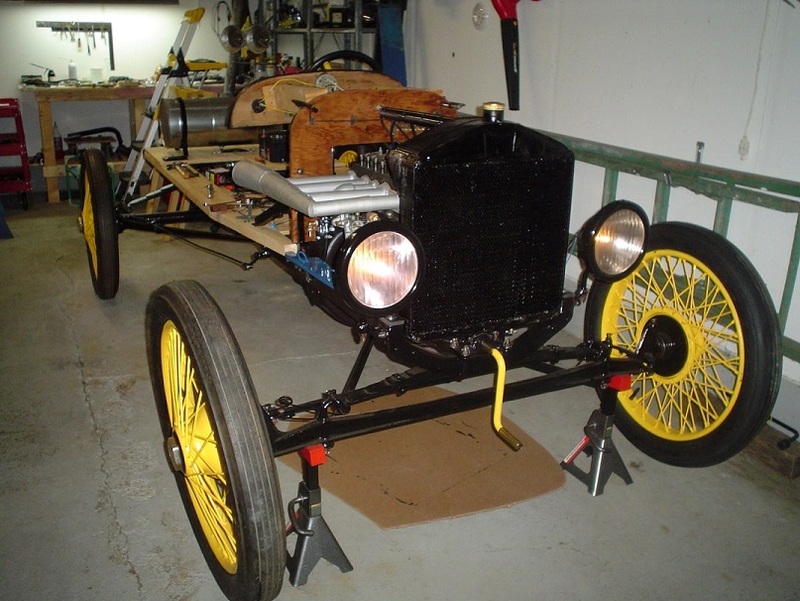 Model T Ford Forum: Forum 2013: Another First Start! 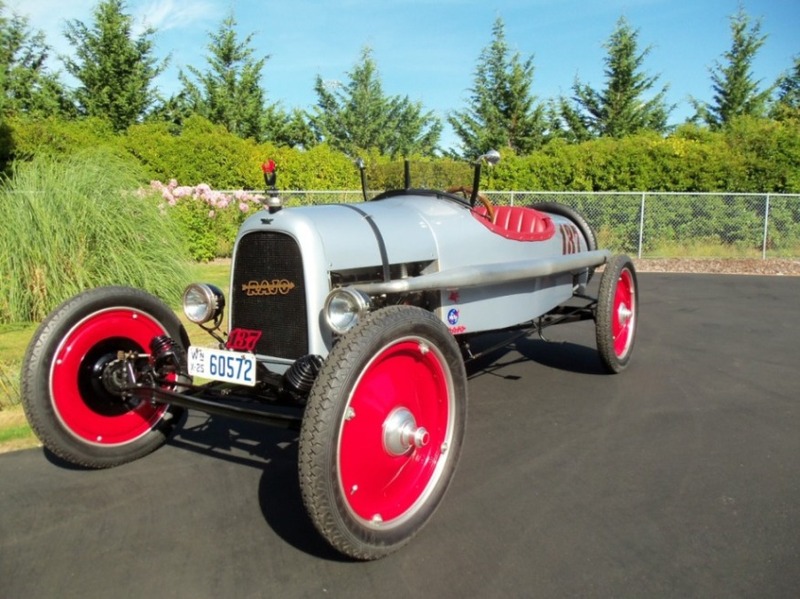 I was able to start and run my 1919 Speedster today for the first time since 1979. I've been working on getting it back together for the last year or so, and it was quite a thrill when it roared to life again (Rajo head and no muffler)! Just in time, a winter storm is headed your way, we have sleet right now in Missouri. Your crank is yellow, you may want to have that checked. I take it that you got your wiring straightened out ? Mine is also quite loud even with a large baffle ! Yes, Steve. I had a ground wire on the distributor negative side that caused the problem. Removed the wire - no more problem. I just have the manifold on it now, but the exhaust pipe in basically just a hollow pipe that directs the exhaust down the side of the car to the rear. No muffler or baffle. Which head do you have on yours? I run a BB with twin ignition. 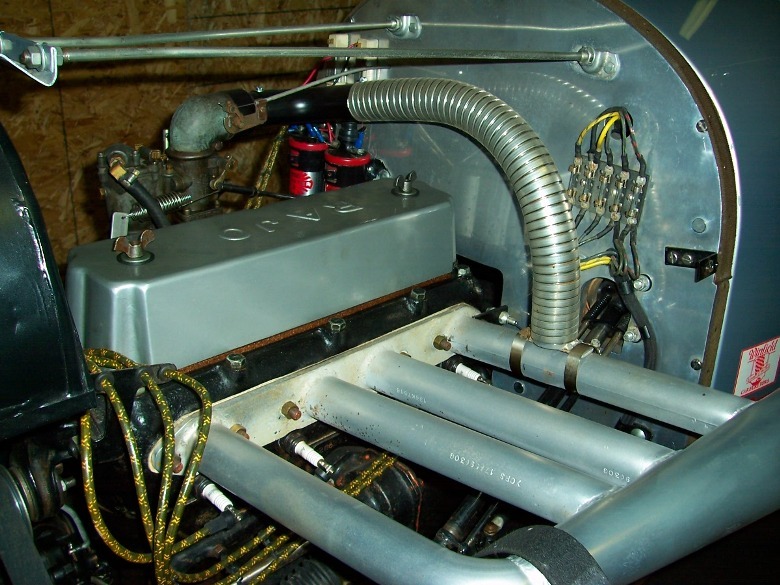 I built the header system with the help of MEGS - they rolled the megaphone for me - 1 & 3/4" into a 4" with a 10" long British motorcycle baffle stuffed in the back end - at least you can kinda talk over the noise with the baffle - it is removable but you cant' talk over the racket ! Steve. Nice car. What is the radiator shell.? It looks like Whippett. I want to build my speedster similar to yours. Did you build the body>? If so do you have any tips on construction. I plan on running a flat head. I have a finned aluminum Iandola head. Rajo offset spindles, A set of Disteel wheels and a few other neat items. Just noticed the lights what are they.? Thanks ! Whippet shell & radiator with custom built brass tanks to match up to the "T"'s connections. I hand hammered the body out of 20 ga. sheet metal. I built the skeleton first then made cardboard templates to trace out on the sheet steel panels - 4' x 10' - was quite an undertaking ! I'll dig out my "build" photo album and scan some photos. The headlamps are electric conversion for fork mount gas lamps made Vesta Accumulator Co. they are solid brass but had some stress cracking so I had them brazed up and powder coated. Always have liked that radiator cap. Just uploaded a short video to YouTube. Here's the link. Hope it works. Steve Tomaso. Nice Car. Do you know who manufactured the wheels. I like them. Nice radiator cap! Studebaker by the way, with the after-market "devil's salute". Nearest I could identify them was being manufactured by Motor Utilities Co. They made steel salesman boxes for runabouts also. My racer mascot came by way as a gift from a fellow in California we had done a national tour with here in Washington in 2000 that our club, The Puget Sound Chapter, hosted - I was one of the "Safety" Inspectors. 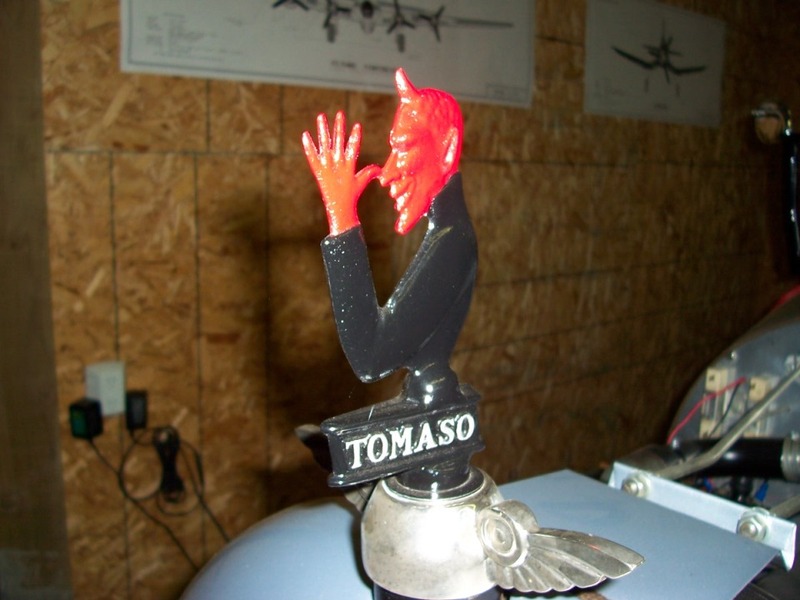 I had an original "Devil" attitude mascot on the racer at the time but 6 months later, this one came in the mail with my name cast into the base - pretty proud of it !